“Awesome, bud” I reply as he takes my hand to go pick up his sister. Just a few short minutes later, he’s starting to fall apart. I can tell it’s about to happen and before I let it go full blown, I scoop him up. I start my practice. I get grounded in my body. I relax MORE than usual… in an attempt to be ready, to be present for the storm that’s about to come. As he starts to boom and rage, I slow my walking down. I slow my breathing down. I let him go through it all. The whole range of emotion, the whole spectrum of anger, exhaustion, and hunger. Fighting me, I’m able to buckle him in. He’s kicking the back of my chair. I lengthen my spine, I exhale through the mouth relaxing the tension that’s building in my jaw. “MOM! Let’s GO!” She yells from the back- hoping if we drive away quickly he will stop screaming. I whisper to her,“one minute” and I grab my purse, take my “balance blend” put 1 drop in my hand, breathe deeply 3 times and as he keeps screaming and yelling and kicking I begin to drive away. I have an awareness of my whole body, I wiggle my toes to make sure I don’t start getting too into my head, too reactive to him. I’m used to this by now. We pull up. I let her out and give her the keys. I tell her to go inside and we’ll be right there. And I linger outside of his door, I open it when I feel ready and able. I unbuckle him. I catch his gaze. He reaches out his arms and wraps them tightly around my reck, his legs around my back. He is wet in the face and his breath is fast. He melts in my arms. I’m sure many of you have been through similar scenarios. It’s part of parenting. 1. BREATHE. Okay, I know we have all heard TAKE A DEEP BREATH but what I mean is for you to actually stop and breathe into your own body. Start to do this often enough that when you feel stress coming on you are able to trigger the response to BREATHE and experience your own sensations in the belly, in the chest, in the shoulders, in the jaw. Breathe deep, wiggle your toes, ground your sitting bones, take some rhythmic movements. 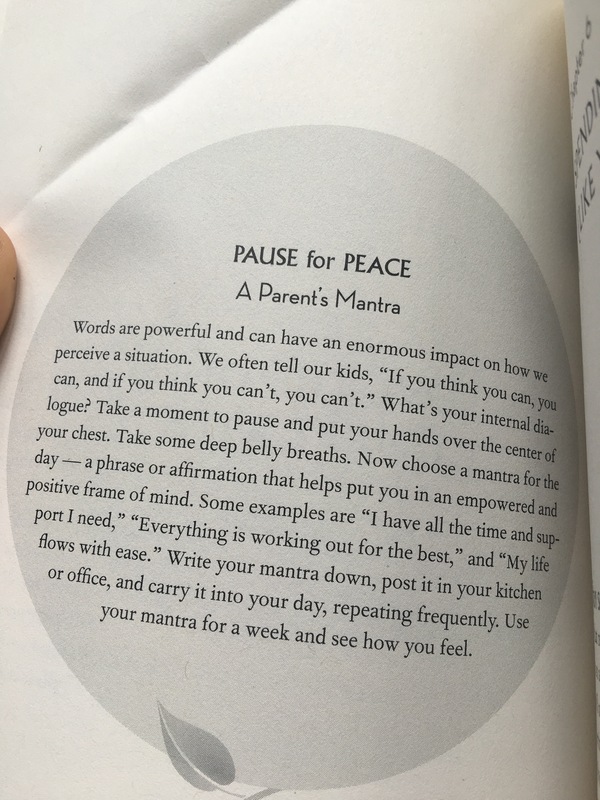 DROP IN to the present moment so you can see a bit more clearly as to what is actually happening and so that you can pay attention to what you (or your kiddo) needs. 2. ALLOW. Keep your life spacious, rested, and energized by simple practices. I cannot stress enough how important it is to take care of yourself. If you don’t, you will have a super tough time being able to gain any clarity or perspective in these tough situations. ONLY with sustainable, regular care are we able to handle the big emotions, remember to breathe into our own bodies, and mindfully assist our kiddos. When we are in fight or flight mode and our kiddos are too- man, it’s a recipe for disaster. We are setting ourselves up for tension, anger, and frustration. This relaxed and open state of mind DOES NOT come from one night of good rest in months OR from one mani/ pedi treatment. This shift starts to happen when we put nourishing practices into our life DAILY as a way to flow with the challenges that come our way. It’s not selfish to take care of yourself. I repeat, it’s not selfish to take care of yourself. 3. OILS. I use essential oils daily for mood and health. I made this video for you to show a few ways you can add these to your life. Essential oils for Mama Moods from lil omm yoga on Vimeo. Also, here’s the brain science behind aromatherapy and mood. And during these tough times, I reach for Balance or Serenity blends to help my mood so that I can handle the stress around me. I also always keep a journal near me, and once I‘m able to drop into the body, see what’s going, I can quickly jot down a few thoughts or emotions so that I’m able to look back and reflect, learn something about myself or those around me, or just have a place to VENT my emotions. 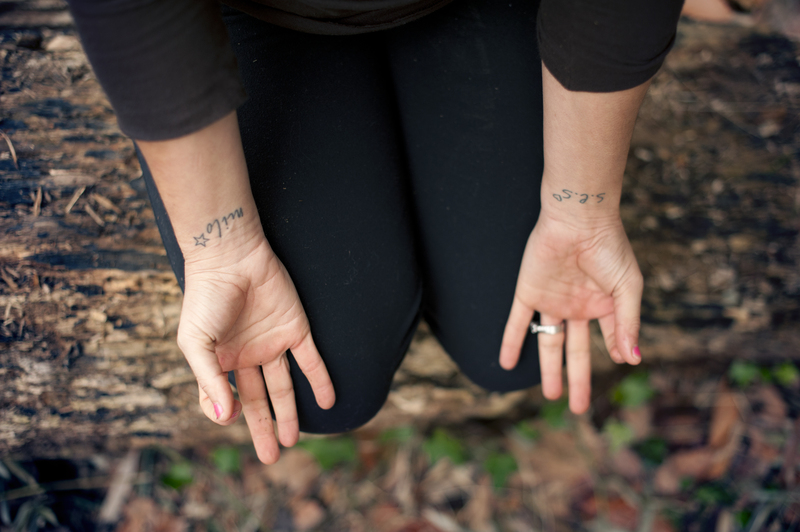 Have you ever wondered where the Yogic philosophy intersects with real motherhood? Over the years so many mamas have asked me how can they apply what they’ve learned on the mat or in our classes to real life. So, starting THIS Sunday. Sept 25 we begin our 4-part Yoga & Motherhood course. This intimate circle gives us a place to reflect, share, and integrate Yogic Wisdom (the 8 limb path) into the role of Motherhood. Through practice, gathering, and learning together we will share in the journey of being mama. REGISTER NOW- only 2 spots left. For mamas in need of some extra TLC the Mom’s Up Retreat co-hosted by Alexandra Hughes is coming up! Treat yourself to a mommy re-boot and meaningful, inspiring connection with like-minded moms at our weekend retreat in Meadowkirk. Only a few spots left, and registration ends 10/10. 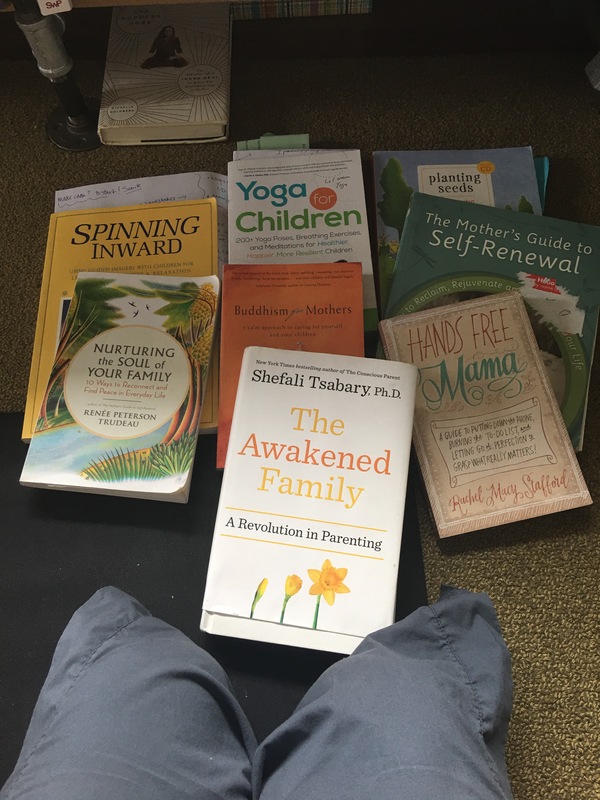 and a collection of great reads that have truly helped and supported myself and other mamas in the lil omm community. Yoga for Moms from lil omm yoga on Vimeo.